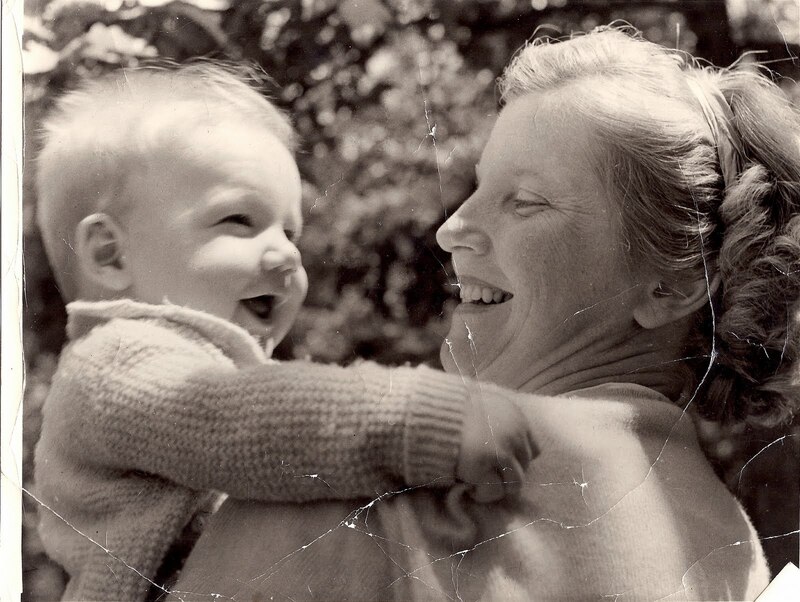 A Son’s Remembrance of His Mother on her Birthday: Frances Irene Floyd 1914-1967 | When I Survey . . . I was eighteen when she died. She was told by her doctor in September of 1966 that she had about three months to live, and she said “Nonsense, I will live to see my daughter and son graduate (from college and high school respectively) next spring, and she did, although she was in a wheelchair. My sister was engaged to be married, and the date was moved up to early September in the hopes she could participate. She couldn’t, since she was in the hospital dying. That day, my Dad, my kid brother, and I left immediately after the reception, still in our morning suits, full of champagne punch (at least I was), to visit her in the hospital with a fist full of Polaroid photos to show her of the wedding. She was delighted, but didn’t have much energy to enjoy them. She was a dreamer and what we once called a bookworm. She always had her nose in a book, and expanded her rather conscribed universe through her imagination. Her parents were good people, pious Midwestern Protestants, and she lived at home with them throughout her mid-twenties, as unmarried women were expected to. But she wanted more out of life. She dreamed about far off places she had read about in books. She dreamed of the England of Jane Austin and Dorothy Sayers. And like many Americans in her day from the cultural hinterlands she dreamed of New York City, then in its heyday, where Dortothy Parker and James Woolcott could exchange bon mots in the Algonquin Club. It was a far cry from Wichita. I thought of her the other day when I was in church. It was an Episcopal Church and the rector, who was celebrating, is a woman, as is the associate priest, as were the two acolytes. So the communion table was surrounded by women, and no one thought a thing about it. My mother would have like that, although in her day it would have been a complete flight of fancy to imagine it. This entry was posted in Frances Irene Floyd. Bookmark the permalink. ← Should the church ever hitch its wagon to one political party? >Lovely article. I truly believe she has seen all of these life events from where she is… happy birthday Frances! >Student said…Thank you very very much for sharing this wonderful story of your Mother. I've been missing my parents dearly at this time of great transition, and find myself almost picking up the phone to tell them the day's adventure.I'm the same age your mother was, but not nearly as beautiful I'm sure.My parents, now oh so long departed, visit me on occasion in their way. The usual jewelry being moved, sounds in the house, silent voices, in dreams. Not very often–or maybe I'm not often attuned.May you know the joy and comfort of your Mother's love from her hallowed place.